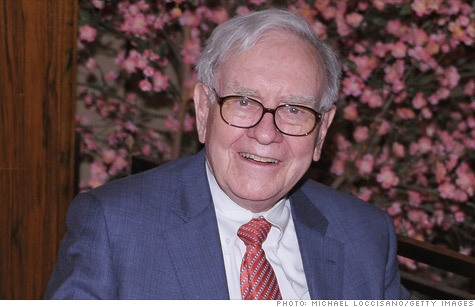 Billionaire Warren Buffett believes that rich Americans should pay higher taxes and that it won't hurt the job market. NEW YORK (CNNMoney) -- Billionaire investor Warren Buffett, saying he doesn't want to be "coddled" by Congress, says that wealthier Americans should pay higher taxes, and that higher taxes do not dampen job growth. Buffett, chief executive of Berkshire Hathaway (BRKA, Fortune 500), wrote in an op-ed piece published Monday in The New York Times that taxes should be raised on Americans who make at least $1 million per year. "While the poor and middle class fight for us in Afghanistan, and while most Americans struggle to make ends meet, we mega-rich continue to get our extraordinary tax breaks," wrote Buffett, who has mentioned in past interviews that the rich should pay higher taxes. On the same day it was published, Buffett's op-ed became an applause line for President Obama, who used it to hammer home his call for higher taxes on the rich. The philanthropist said that his 2010 federal tax bill, including income and payroll taxes, was $6,938,744. "That sounds like a lot of money," wrote the Omaha, Neb.-based billionaire. "But what I paid was only 17.4% of my taxable income - and that's actually a lower percentage than was paid by any of the other 20 people in our office." He added that some investment managers were taxed only 15% on billions of dollars in income. He compared that to the middle class, with its income tax bracket of up to 25%. He said that 40 million jobs were created between 1980 and 2000, when the tax rate for the rich was higher than it is now. "You know what's happened since then: lower tax rates and far lower job creation," he wrote. Buffett proposed that Congress impose a higher tax rate on millionaires, and an even higher tax rate on those making at least $10 million per year. "My friends and I have been coddled long enough by a billionaire-friendly Congress," he wrote. "It's time for our government to get serious about shared sacrifice." Buffett, a Wall Street guru who has made billions during his 60 years of investing, has pledged to donate 99% of his wealth to charity. In a recent interview with Fortune, Buffett said he still believes the United States is an AAA-rated nation, despite the recent Standard & Poor's downgrade of the credit rating. He said he also continuing to buy stocks, because recent market volatility has created lots of deals.